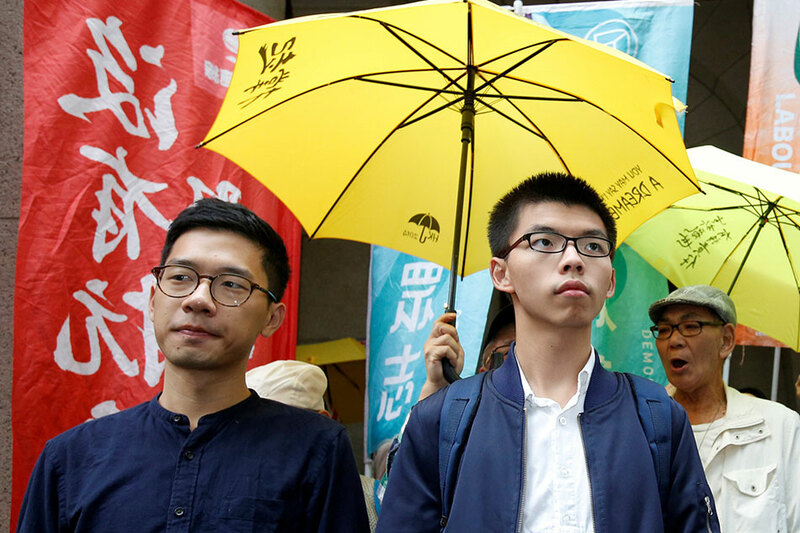 Hong Kong activists Joshua Wong, Nathan Law and Alex Chow Friday said they were honored to be nominated for the Nobel Peace Prize by a group of US lawmakers at a time when the city's freedoms are "under serious attack by China". A bipartisan group of four senators and eight members of the House announced Thursday that they had nominated the activists "in recognition of their peaceful efforts to bring political reform and self-determination to Hong Kong." Wong, Law and Chow -- who shot to prominence as leaders of the 2014 pro-democracy Umbrella Movement -- said they were honored by the nomination, but warned that Beijing was targeting the freedoms enjoyed by residents of Hong Kong as a semi-autonomous part of China. The city's administration -- handpicked by Beijing -- has "criminalized people for their speech, deprived people of their right to stand in elections, ousted elected lawmakers and punished dissenters by jailing them," the activists said in a statement. "At this critical juncture, we need to join hands with the international community and together defend Hong Kong as a bridgehead for democratic movements." Hong Kong has been governed under a "one country, two systems" deal since 1997, when Britain handed the territory back to China, and its residents have rights unseen on the mainland, including freedom of speech. But there are growing concerns that these liberties are being eroded. Wong, Law and Chow said Friday the system is "under serious attack by China". Officials at the foreign ministry in Beijing did not respond to requests for comment on Friday. Tens of thousands of protesters paralyzed parts of Hong Kong during the Umbrella Movement, demanding fully free elections for the city's leader. The rallies failed to win concessions and since then, Wong and other leading activists have been charged over their involvement.